Are you experiencing a loss in your life? A loss that has left you feeling alone, crippled, or in despair? Maybe it¿s the sudden death of a loved one, the breakup of a close relationship, or maybe the loneliness of feeling misunderstood. There are many reasons people feel lonely, but thank God we can overcome them through His Word! 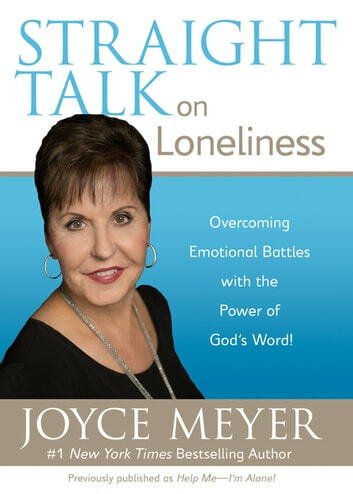 In this book, bestselling author Joyce Meyer will teach you how to conquer the feelings of loneliness and find renewed strength, hope, and joy through the Lord Jesus. She offers you practical and effective ways to triumph over loneliness and grief so you can live a happy, more fulfilled life. There may be times in life when you feel lonely, but just remember, you¿re never alone when God is standing by your side!